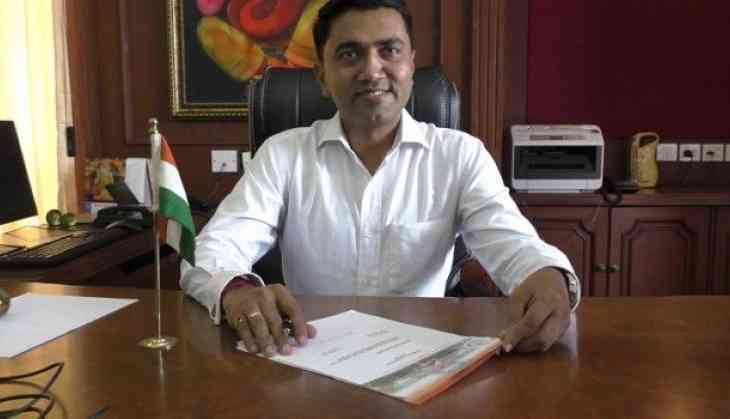 Amidst Congress' claim to form a government, BJP's Pramod Sawant has sworned in as the new Goa Chief Minister. Sawant succeeded late Manohar Parrikar as Goa CM with an unprecedented two deputies -- one from each alliance partner, namely, Sudin Dhavalikar of the Maharashtrawadi Gomantak Party and Vijay Sardesai of the Goa Forward Party. The swearing-in ceremony was held at around 1:40 am. BJP President Amit Shah, Union Minister Nitin Gadkari and BJP Goa MLAs including Pramod Sawant had earlier arrived at a Hotel in Panaji for a meeting over new CM, reported news agency ANI. This shows BJP's two Allies Maharashtrawadi Gomantak Party (MGP) and Goa Forward Party (GFP) agreed with two Deputy Chief Minister posts in Goa, which has a cabinet of 12. Sudhin Dhavalikar of the Maharashtrawadi Gomantak Party (MGP) and Vijay Sardesai of the Goa Forward Party will be the two deputy Chief Minister of Goa.